Nearly all KOHZU precision motion stages can be manufactured for operation in high vacuum without compromising the performance specifications. KOHZU is unique as a manufacturer of translation stages as KOHZU has a vacuum chamber in their facility for testing. 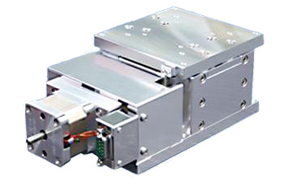 KOHZU’s vacuum stages are heavily used in synchrotrons and also with OEM customers due to their precision, robust production grade construction and KOHZU’s attention to detail. KOHZU is truly a go-to stage provider for beamline scientists around the world.